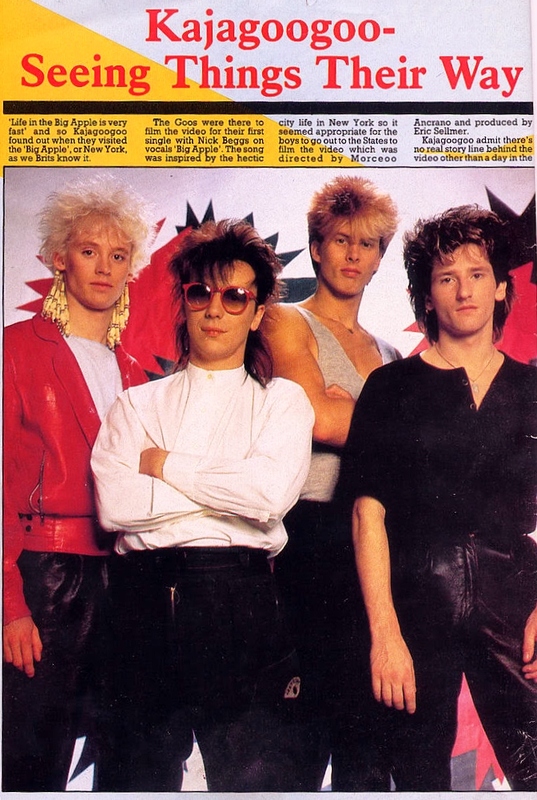 Chart Beat Magazine was another pop magazine of the 80s, it ran fortnightly and contained all the usual interviews, photos and features. 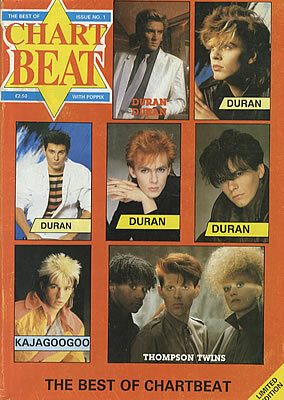 There are many collectable editions of Chart Beat out there, they seem rather rare! 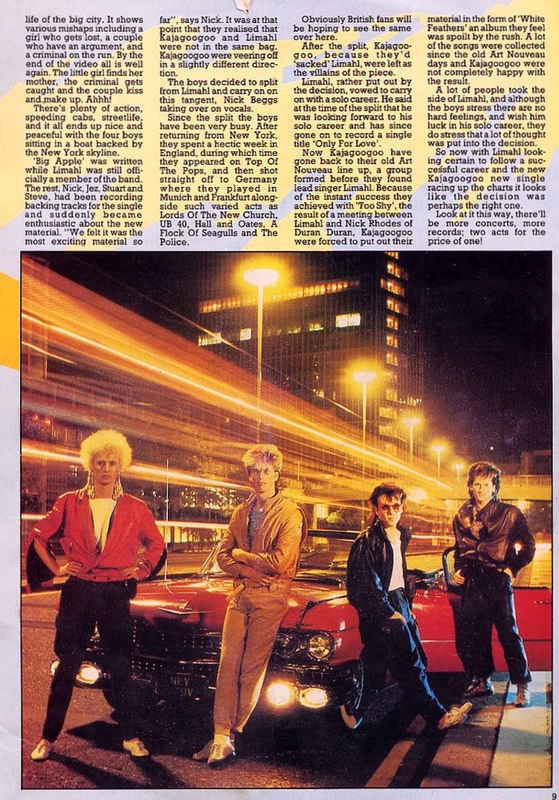 KajaGooGoo appeared in Chart Beat magazine more than once, one of those times being this two page article from 1984. I have the above feature from Chartbeat. I can’t remeber which issue it originally appeared in tho. I see the one above is a “Best of…”. I never knew they did those. Chartbeat is very rare indeed. I have only a few in my collection and the last one I went after, and failed to get, went for about £20. It did have Culture Club on the cover tho so that may account for it. There are many collectors of CC magazine covers.